Celebrity couple Angelina Jolie and Brad Pitt have recently revealed that, if the kids have their way, their wedding plans could take an unusual turn – into a paintball themed bonanza! And this isn’t the first time Mr Pitt has come to the world’s largest paintball provider – back in October last year Brad and buddies Shia Labeouf & Scott Eastwood set up camp at our Hemel Hempstead Paintball centre while filming the upcoming World War II blockbuster ‘The Fury’. 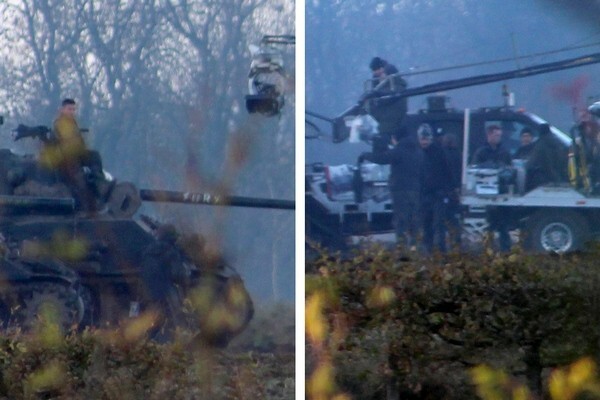 During the filming Tiger Tanks and Hollywood explosive experts could be seen from the Delta Force Basecamp, as they tried to rival our paint and smoke bombs! 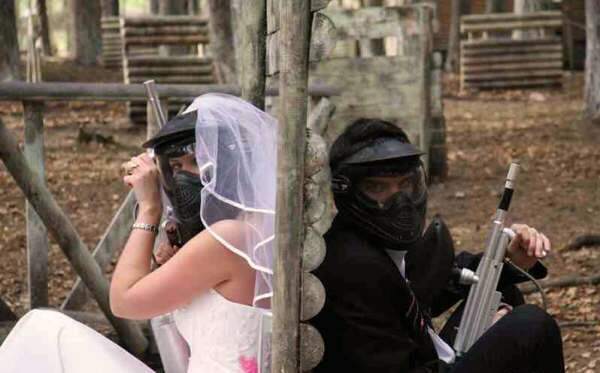 Here at Delta Force Paintball we have plenty of experience with hosting paintball stag-dos and hen parties, but to have the actual wedding at one of our centres would be something out of the ordinary. We already have churches in some of our game zones – usually accompanied by a severed zombie head – and one of our marshals could be a vicar for the day. Camoflauge instead of dresses and suits, helmets instead of hats veils. We are officially offering our services to Brangelina! Ironically, these two have come face-to-face in a shooting duel before – in the film Mr and Mrs Smith, Brad and Angelina take the roles of assassins who discover that they have been hired by two rival companies to kill each other. Paintballing might not be as macabre but they will certainly know how to handle a weapon and it would be interesting to see how they cope with the rigours of an epic paintball match!